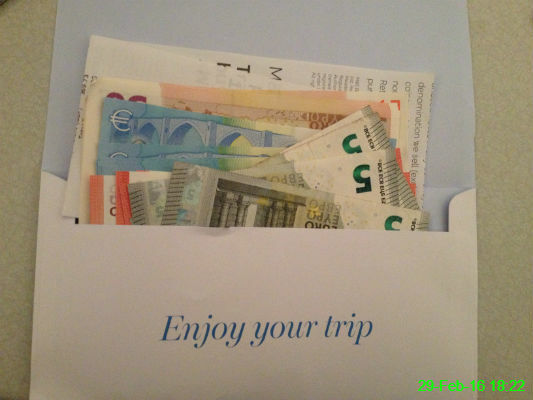 I got some euros so I'm all set for my trip to Hamburg. Since we're away next weekend, we celebrated Mother's Day a week early by going to Lezzet with Mam and Chris. 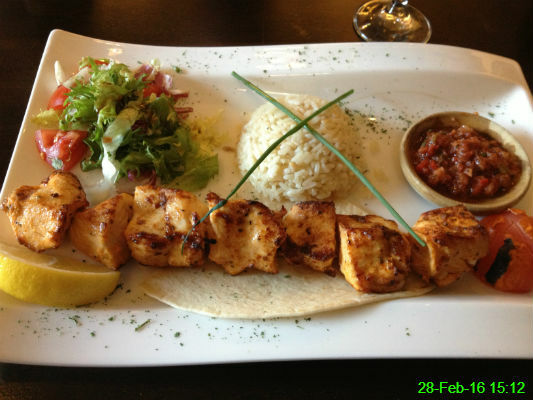 I had the chicken shish kebab, which was lovely. 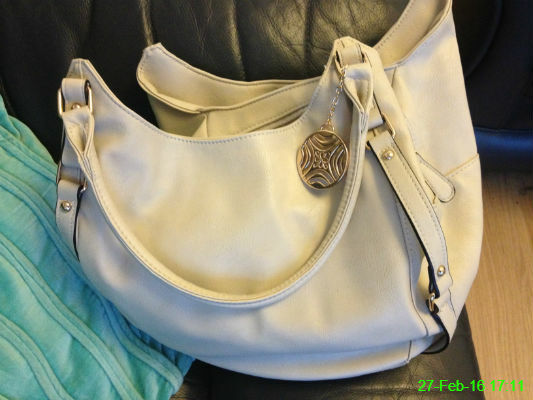 My handbag was looking a bit desperate so I bought a new one from Matalan. 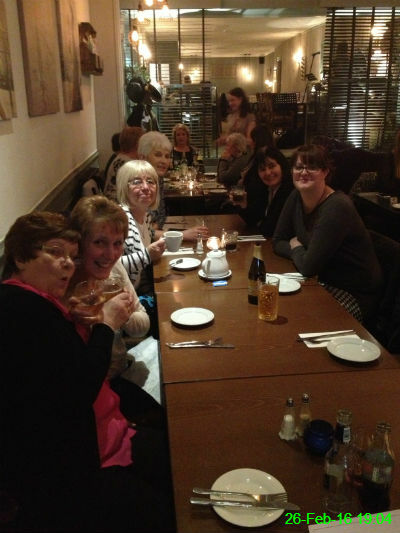 I went for a meal at The Gentleman with Audrey, Heather, Marie, Juliet, Linda, Fay and Sara (who was allowed to avoid the photo!) and it was a surprisingly civilised affair. Yesterday the last two lighting strips above my desk gave up, so my work area is now a bit like a dark cave. 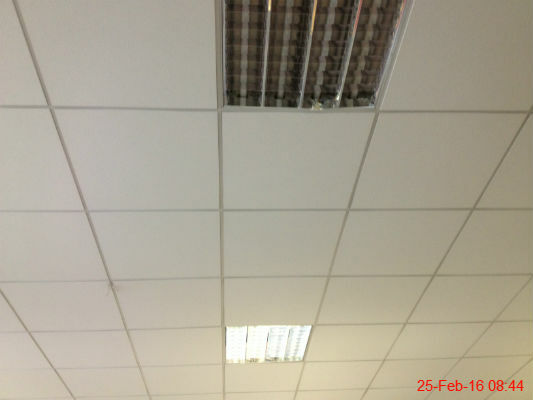 It's quite a difference from the other fully working lights in the photo! 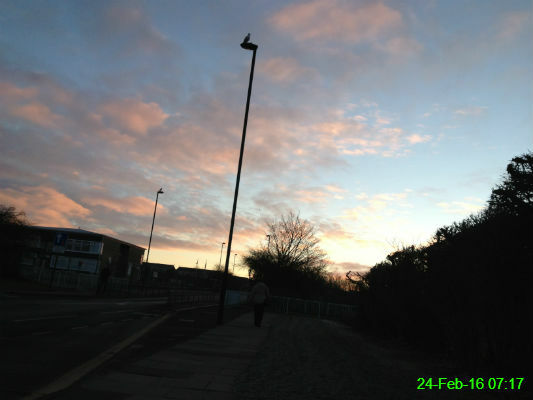 With frost on the ground and pink in the sky, it was a cold but calm winter morning. 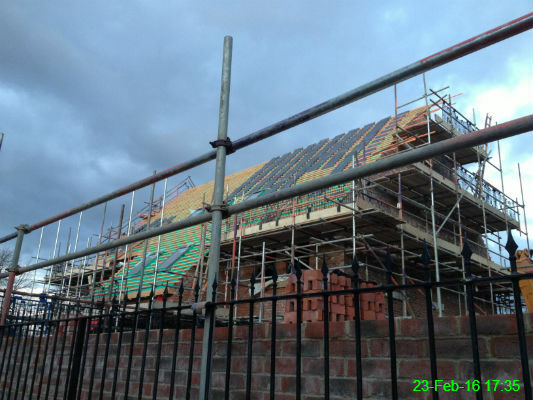 After looking pretty much like a building site for absolutely ages, the houses on the site of the old La Sagesse school are finally taking shape. 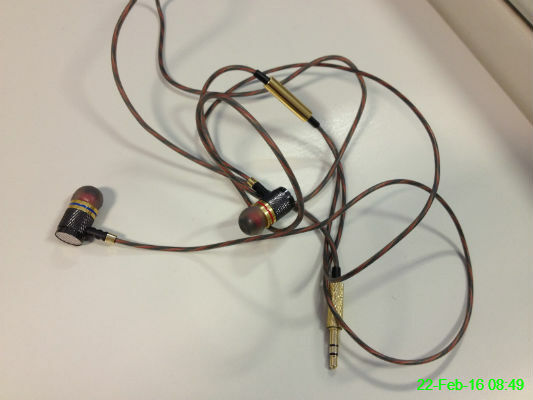 I've needed some new headphones for a while and a friend recommended these Betron ones. So far they've been a massive improvement on the broken set I've been using. 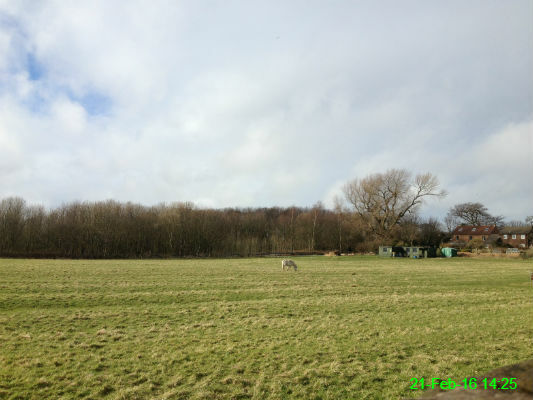 It got out into a nice day as we walked from Forest Hall to Killingworth. About half an hour after this, it was raining. I'm always grateful when people let me take photos of them for this project, but today's effort seems to have brought about mixed emotions. 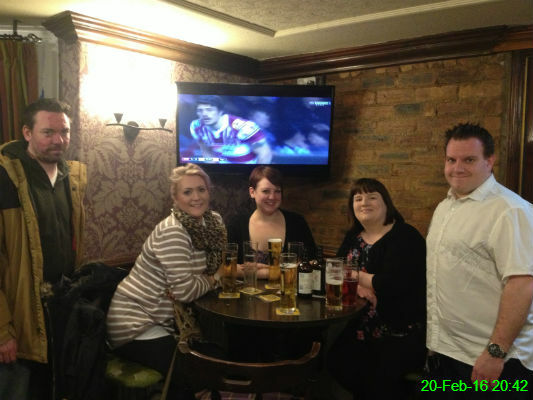 Stu didn't look too happy, however Carolyn, Ali, Joanne and Phil at least managed a smile. 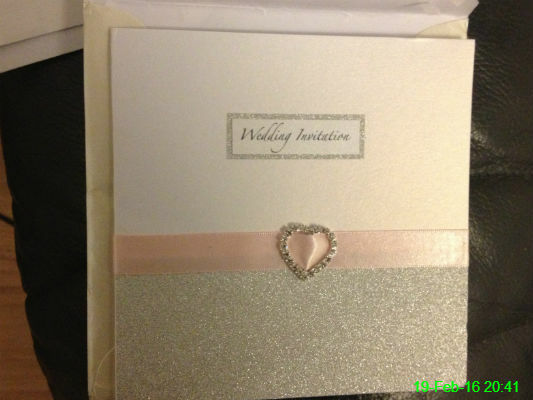 I love being invited to things, so it was exciting to receive an invitation to Matt and Abby's wedding in May! 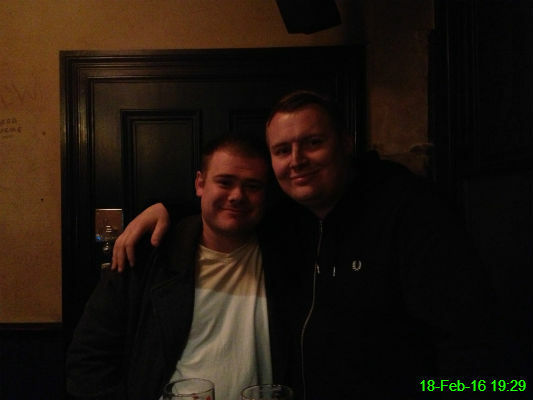 It was a shame the match we were going to was called off, but good to catch up with James, and the Beehive was obviously the best establishment for such a moment. 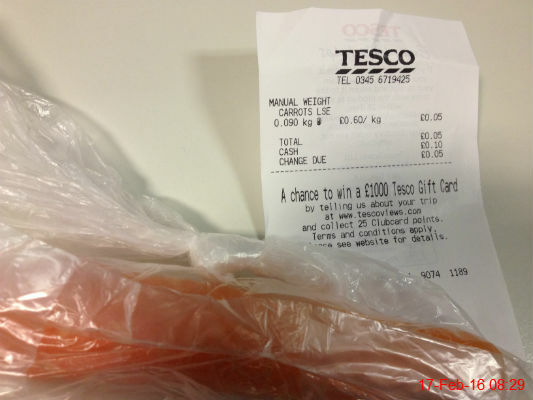 Usually I'd pad out a shopping trip with a few extra items, but as it's a few days before payday and the only thing I needed was one carrot, I managed to limit my spending to 5p. 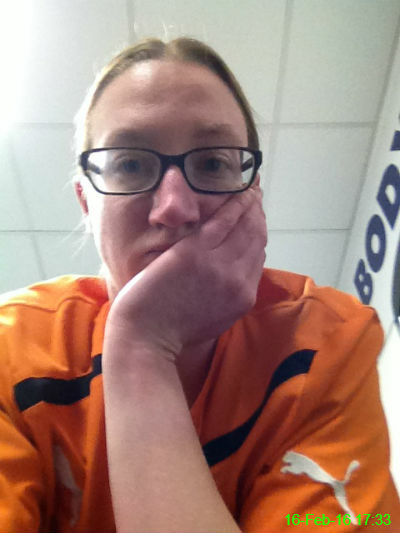 Not the posing type of selfie in the gym, just a representation of how I look resting in between sets on the leg curl machine. You wouldn't think from my bored expression that I was actually enjoying myself! 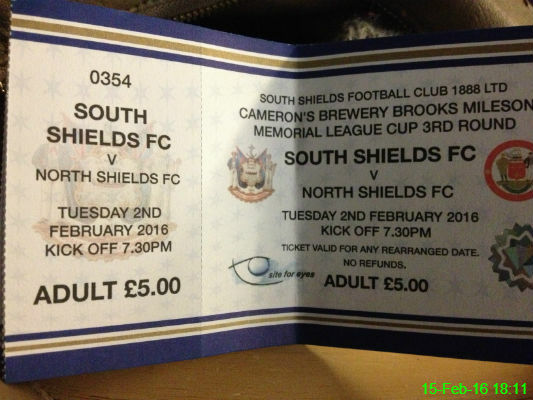 We have tickets to the rescheduled South Shields v North Shields derby match, which will now be played later this week. 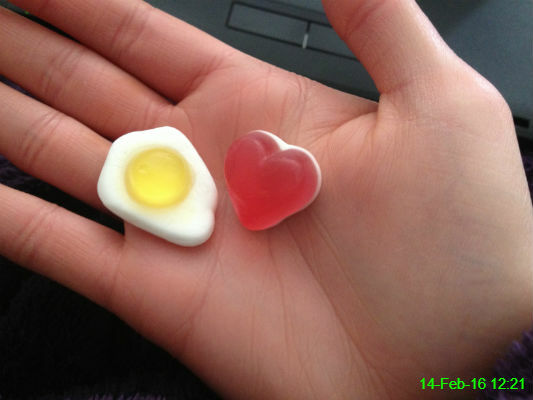 This is enough of a Valentine's Day brunch for me! I didn't expect a reward for helping out last night so this badge was a really cute surprise! It's just a shame the lady with glasses has darker hair than me otherwise it'd be a good likeness. 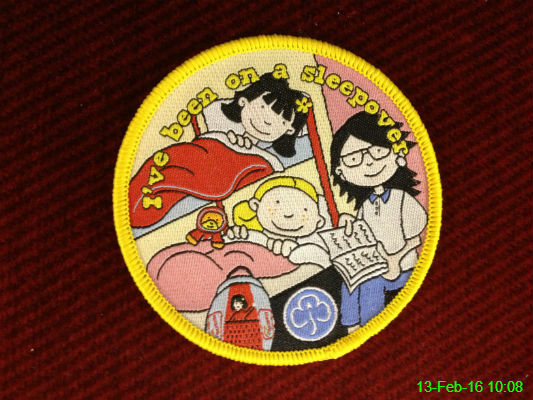 I broke my Friday night 'Gym and Housework' tradition by agreeing to spend the night with Ali at a sleepover for her Rainbows. 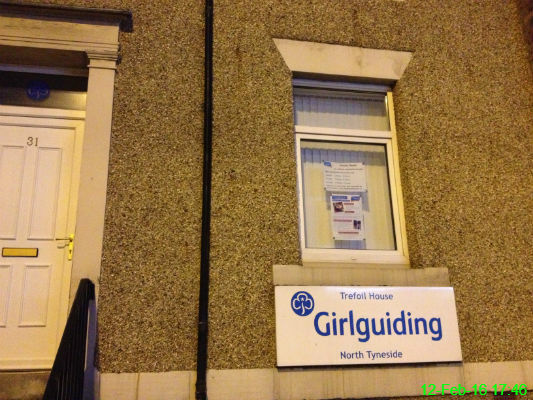 This brought me to Trefoil House in North Shields, the home of Girlguiding. 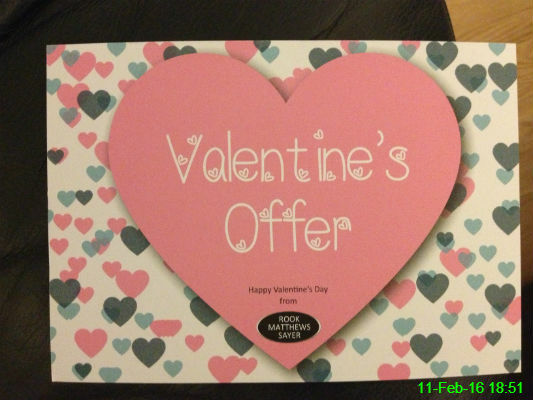 We don't bother with Valentine's Day so this is probably the best offer I'm going to get! 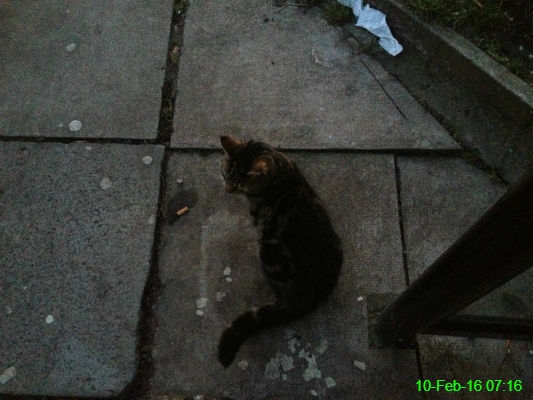 I got the fright of my life when something brushed up against my ankle at the bus stop this morning, but it was just this kitten, which then decided to sit in front of me for a few minutes. 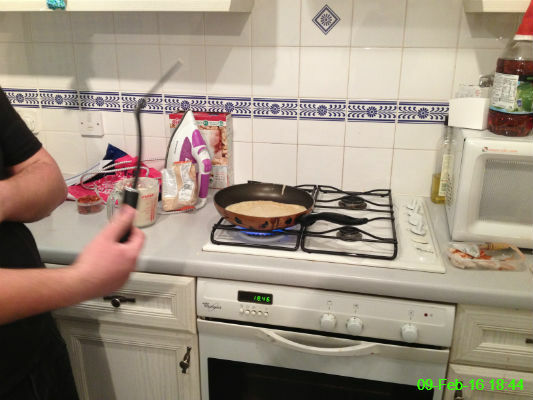 No I'm not being offensive, it's Shrove Tuesday and Michael is always best at tossing our pancakes! 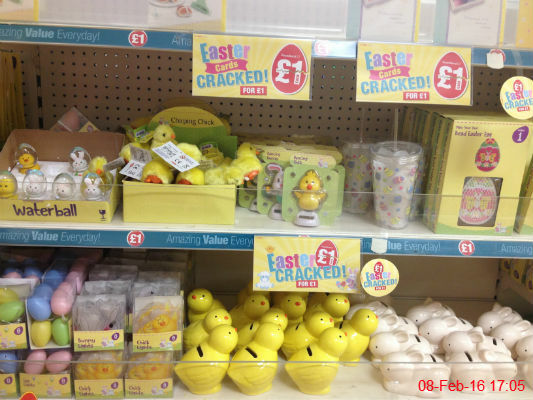 The shops are already full of Easter things. 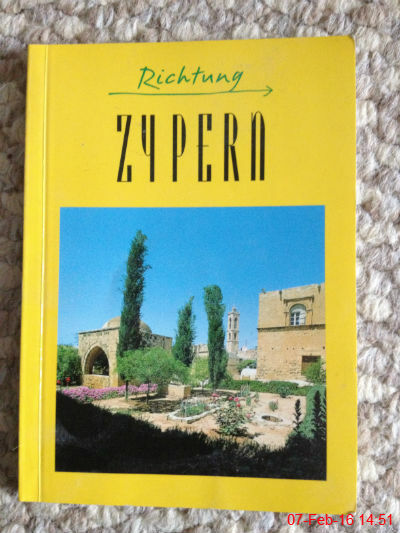 Well I said I wanted to work on my German, but I'm not sure how far this information book about Cyprus, written in German, will get me. 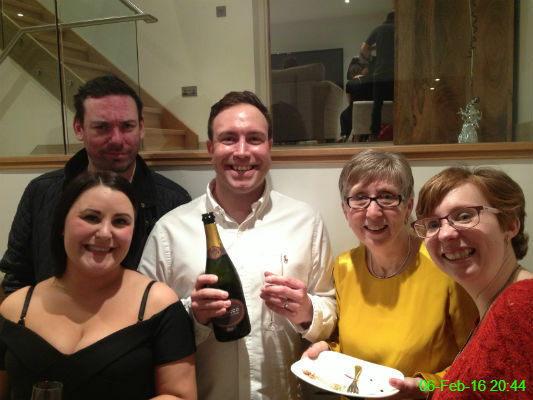 We visited Matthew and Danielle to celebrate their engagement and their new home. I insisted Danielle, Stu, Daniel, Jane and Alex pose for my photo of the day! 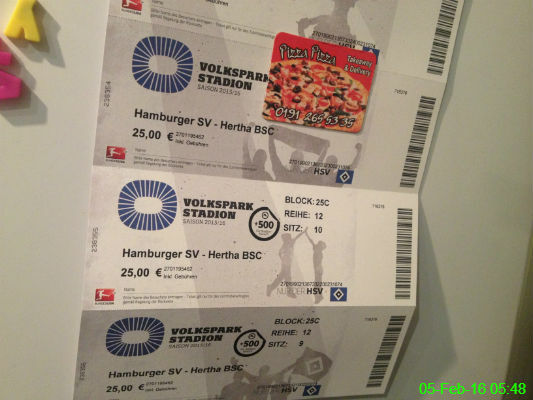 In 4 weeks we will be in Hamburg and our tickets for Hamburger SV vs Hertha BSC have arrived. Time to start brushing up on my German! 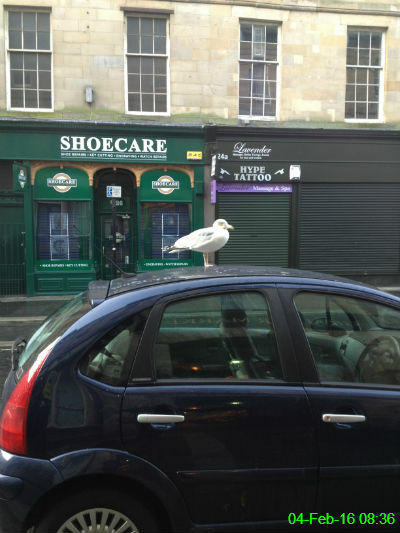 For a moment I wished I could join this seagull, just perching on a car all day instead of going to work. 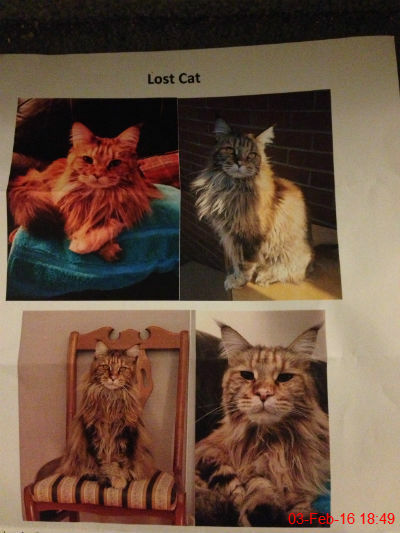 We had this flyer about a lost cat put through our door. I haven't seen it around here so far, but I'll keep an eye out. 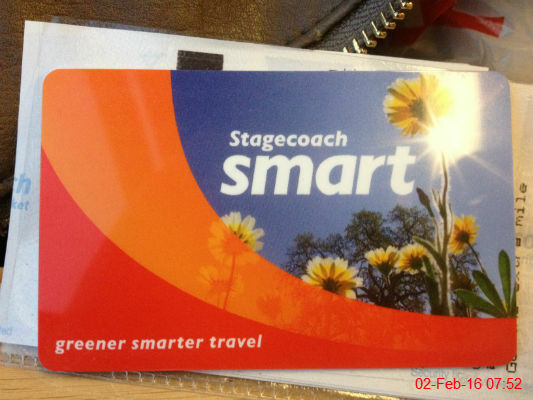 For the first time, my weekly bus ticket was loaded onto a smart card instead of being in paper form. Once I'm used to how it works, it will be loads better to renew online. 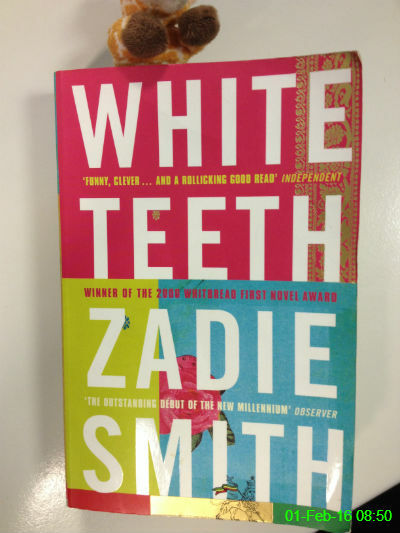 I'm a little bit behind with January's book club choice, but since everyone is in the same boat we've agreed to skip February.